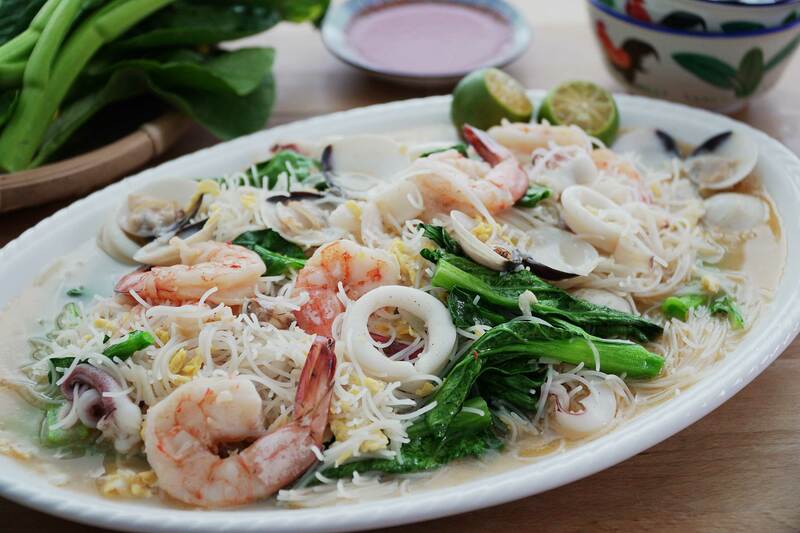 White beehoon is a classic dish served everywhere from restaurants to zichar stalls. What makes it special is our homemade stock; made with chicken carcasses, chicken feet, soya beans, prawn heads and shells. We must say it’s definitely worth spending some time doing this, as it gives your beehoon a kickass flavour. 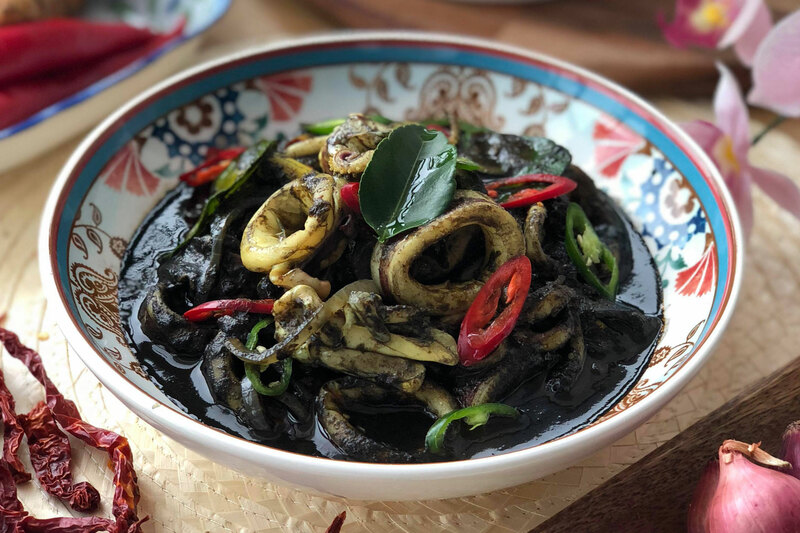 In Singapore, spaghetti can be a versatile ingredient, and with this recipe we recognise that it is even more so with this simple squid ink pasta recipe. This is a relatively simple recipe that can be performed in a little under an hour. No one will stop at just one bite with this crispy seafood pancake accompanied by a delightful savoury and tangy soy dip! 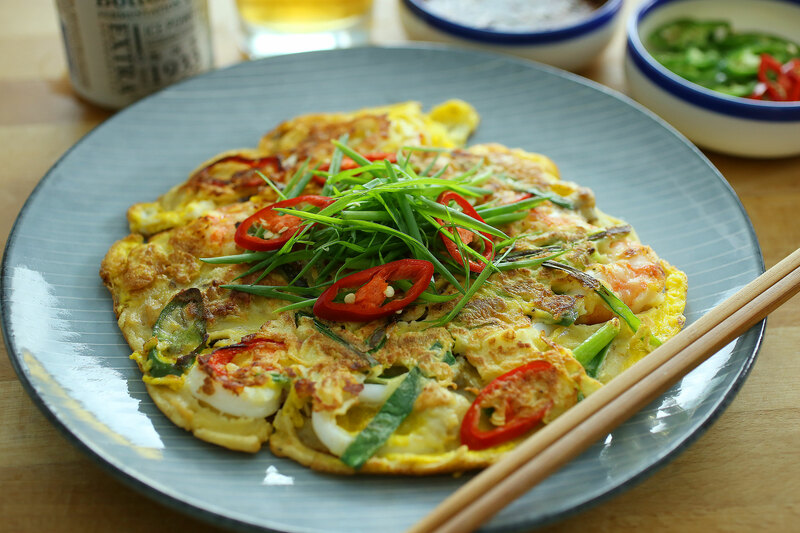 According to the Koreans, savoury pancakes are THE comfort food that should be eaten during rainy days and that seafood pancakes are also best paired off with ‘makgeolli’ (milky rice liquor). Hokkien Mee has always been a hawker favorite and popular dish in Asian culture – but how about claypot hokkien mee? Tasty comfort food is what you’ll get! An umami pot of noodly goodness, we made our own pork belly by simply frying and blanching. The fragrant aroma and sizzles of the claypot while cooking this dish can be tantalizing to say the least. Give yourself some time to prepare and you’ll be in for a treat! Mui Fan is a quick one dish white steamed rice topped with a quick braised sauce. The sauce should be light as to emphasize the sweetness and freshness of the seafood, meat or vegetables used. It’s a perfect way to use leftover rice with bits and pieces in the fridge.